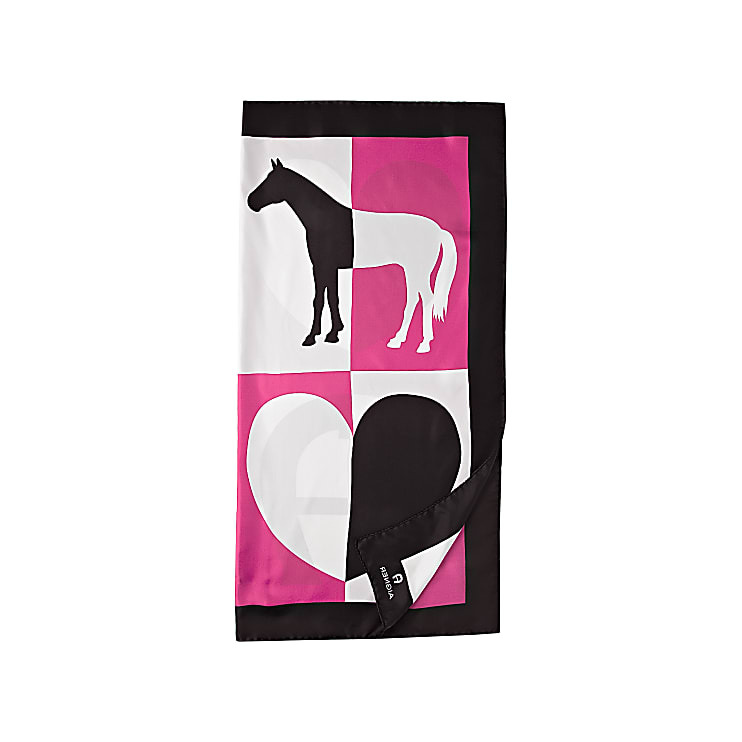 The silk scarf with horses- and a heart print presents AIGNER’s classic, luxurious style. You can wear the printed Carré with a complete outfit to match the Lara bag. Due to the combination of subtle and bright colours, this scarf will be a modern favourite.